Insider Monkey follows hedge fund managers because they have sought the edge in the market through extensive research on public companies and by seeking experts who can guide them. We believe that by imitating the smartest investors around, rather than trading against them, we are more likely to beat the market. Based on the transactions of nearly 350 hedge funds compiled by Insider Monkey, here are the top 16 semiconductor stocks held by hedge funds. 1. 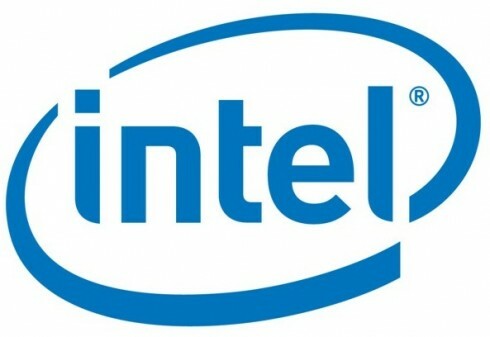 Intel Corp (INTC): Intel Corporation is a semiconductor chip maker, which develops advanced integrated digital technology products for numerous industries such as computing and communications. Intel shed 4.64% in the current year, slightly less than S&P 500 at 4.71%. Last quarter, the company was held by more portfolios – 40 – than any other semiconductor chip maker. Paul Ruddock and Steve Heinz of Lansdowne Partners increased their position in the second quarter by 37%, bringing them to approximately 23 million shares.
. Micron Technology (MU): Micron Technology manufactures and markets semiconductor devices including dynamic random access memory, flash memory, as well as other memory storage technologies. Micron’s losses year to date are 29.3%, significantly greater than the S&P 500 index. 30 portfolios held this company in the second quarter. David Tepper’s Appaloosa Management increased their position by 19% last quarter, grabbing approximately 14.5 million shares (see billionaire David Tepper’s favorite stocks). 3. Applied Materials (AMAT): Applied Materials, Inc. supports the global semiconductor, flat panel display, solar photovoltaic, and other industries by providing them with manufacturing equipment, services, and software. Applied Materials lost 22.74% in the current year, greater than the S&P 500 ETF (SPY). The company was held by 28 portfolios in the last quarter. Ken Fisher’s Fisher Asset Management increased its position by 1% in the second quarter, which brought them to about 40.3 million shares. 4. National Semiconductor Corporation (NSM): National Semiconductor Corporation is a semiconductor company focused on power management with regard to analog and mixed-signal integrated circuits and sub-systems. National Semiconductor strayed from the pack year to date gaining 82.28% in contrast to S&P 500 index, which lost 4.71%. 28 portfolios held this company in the second quarter. Alpine Associates, which is managed by Robert Emil Zoellner, took a new position last quarter by acquiring $4.7 million shares. 5. Broadcom Corporation (BRCM): Broadcom Corporation is a semiconductor company for wired and wireless communications. In the current year, Broadcom has shed 23.37%, more than the SPY. The company was held by 25 portfolios in the last quarter. Bain Capital’s Brookside Capital took a new position in the second quarter by purchasing nearly 6.9 million shares. 6. Marvell Technology Group Ltd. (MRVL): Marvell Technology Group is a fabless semiconductor provider of application-specific products including complex system-on-a-chip (SoC) devices. Marvell lost 30.84% in the current year, significantly more than SPY. The company was held by 25 portfolios in the second quarter. Artis Capital Management, which is managed by Stuart Peterson, increased their position by 38% last quarter, rising to approximately 32.1 million shares. 7. Atmel Corporation (ATML): Atmel Corporation designs, develops, and supplies microcontrollers and devices which complement its microcontroller products. Atmel lost 32.71% year to date, more than SPY. 25 portfolios held the company in the last quarter. Richard Chilton’s Chilton Investment Company increased their position in the second quarter by 53%, bringing them to about 2.5 million shares (see Chilton’s top stock picks). 8. NVIDIA Corporation (NVDA): NVIDIA Corporation is a provider of visual computing technologies on devices such as tablets, smartphones, notebooks, and workstations. NVIDIA lost 14.42% in the current year, greater than SPY’s losses. The company was held by 24 portfolios in the second quarter. Peconic Partners LLC, which is managed by William Harnish, reduced their position last quarter by 34%, dropping to approximately 1.4 million shares. 9. Altera Corporation (ALTR): Altera Corporation is a semiconductor company, which designs, manufactures, and markets logic devices, application-specific integrated circuits, and software. Altera lost 1.55% year to date, less than SPY over the same period. 22 portfolios held this company in the last quarter. Boykin Curry’s Eagle Capital Management increased their position in this company in the second quarter by 1%, rising to approximately 7.8 million shares. 10. Advanced Micro Devices, Inc. (AMD): Advanced Micro Devices, Inc. is a global semiconductor company, which offers microprocessors as well as graphics, video, and multimedia products for various markets. Over the current year, Advanced Micro Devices lost 23.35%, more than SPY. The company was held by 22 portfolios in the second quarter. Ivory Capital, which is managed by Curtis Macnguyen, reduced their position by 32%, which gave them approximately 17.3 million shares. Semiconductor companies performed worse as a group than the S&P 500 index, losing 9.66% year to date.